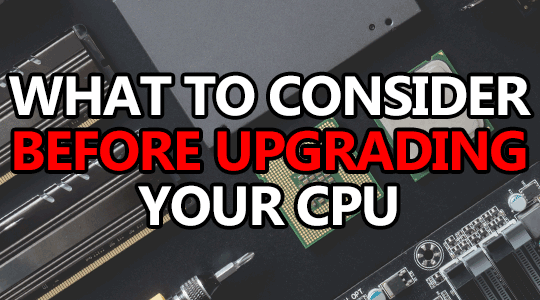 When it comes time to upgrade your CPU, there are a few things you have to consider. Will it work with your current motherboard, or will you have to upgrade? Will the CPU you want actually deliver worthwhile results? Upgrading a CPU is quite a bit different than upgrading your graphics card as there’s a lot more to consider. Fortunately, we’re going to tackle the most common questions – and then some – in this article. If you have any questions, feel free to ask them in the comment section! When it comes time to upgrade your CPU, there’s really no point in going sideways considering you’re spending hundreds or potentially thousands of dollars. So, the first thing to do is make sure your upgrade is going to be a good one. Sometimes, it might be pretty obvious. Like if you’re upgrading an old FX 4300 from 2012 to a brand new R5 2600 from 2018 – it’s pretty obvious there is going to be a sizeable performance increase there, definitely worthwhile. But, other times, it can be a little more difficult to determine. Particularly when you’re considering an upgrade for a CPU that’s only 1-2 years old. In times like this, benchmarks are usually going to be your best friend. By watching a series of benchmark comparisons, you’re going to be able to clearly see whether or not your new CPU will give you the performance increase you’re looking for. Once you’ve found a good upgrade, it’s time to make sure it’ll actually work in your system or if you’re going to have to upgrade a bunch of parts. The biggest hurdle you have to get over is compatibility. 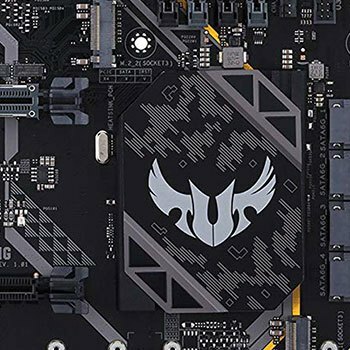 Will your new CPU be compatible with your old motherboard, or will you have to upgrade? When it comes down to it, it’s pretty easy to figure out as long as you know what you’re currently running. 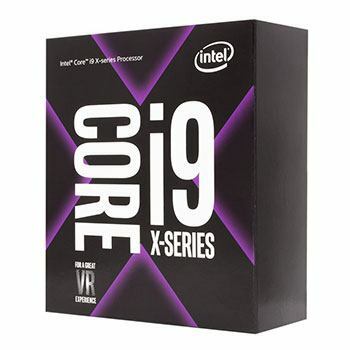 When it comes to CPU compatibility, there are 2 main points you have to consider, the socket your new CPU requires, and the motherboard chipset it needs to support its features. The socket your CPU needs should be the first thing you scratch off your list. 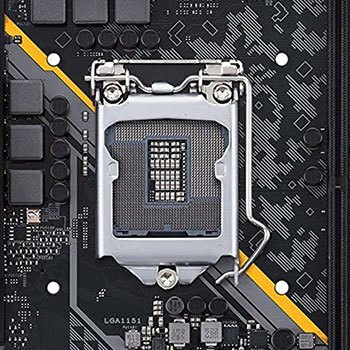 Sockets are proprietary to their respective manufacturer, so an AMD processor will not be compatible with a motherboard made for an Intel processor. Why? Different sockets. Pretty simple so far, right? Beyond that, there are numerous generations of each socket-type. A processor running on the Intel LGA 1151 socket would not be compatible with a motherboard running the LGA 1155 socket, as an example. So, now we have 2 things to keep in mind: socket-type, and socket generation. If you’ve determined that your new CPU and your old motherboard share the same socket type AND generation, you’re good to move onto chipset! If not… You have no option but to consider upgrading your motherboard, which might then require even more upgrades. But, we’ll get to that in a minute, so don’t do anything just yet! Once you’ve made sure that your CPU and motherboard sockets are the same, it’s time to figure out which chipset you’ll need. Often, the chipset you’re currently running is going to be the one you need, but not always. Every socket generation has multiple chipsets associated with it. Each chipset supports a varied level of features starting from the most basic right up to the fully loaded. The lower-end chipsets don’t generally support things like overclocking, which is where the higher-end options come in. As you’re probably assuming, this means that some chipsets are going to cost more than others. Figuring out which chipset you need basically boils down to the features of your new CPU. Or, the features you actually want to use, at the very least. If you’re buying a CPU that can be overclocked, but your motherboard’s chipset does not support overclocking, that might be a problem. You could still run the CPU in that situation, you just wouldn’t be able to overclock it. On the other hand, if you’re buying more of a budget-level CPU it wouldn’t make much sense to buy a top-of-the-line motherboard running the highest tier chipset. The point to take away from here is: make sure the chipset supports the features you want to use. Does your power supply have enough juice in it to fully power your new CPU? Usually, this isn’t a huge issue for the vast majority of people; especially if they’ve already built a custom PC. However, if you’re running a cheaper prebuilt desktop, it’s possible that the 300W power supply it came with won’t be enough to handle your new CPU + the new graphics card I know you’re going to install. In this instance, you might want to consider upgrading it before too long. If you find that the new CPU you want is not compatible with your motherboard, well, I guess it’s time to upgrade more parts then! There are a few things (aside from the new motherboard) to keep in mind, most of them will likely cost you more money. A new motherboard might mean that you now require new RAM and potentially even a new copy of your OS. At the very least, you should always perform a fresh install of your operating system after making major changes like swapping motherboards. The first thing you’re going to want to do is find a compatible motherboard. Not only does it have to be compatible with your new CPU, but it also has to fit inside of your case. If you’re running a mid-tower ATX case, you can easily run all but the biggest eATX motherboards. If you’re running an mATX case, you are more than likely limited to mATX or mini-ITX motherboards. Depending on how old (or new) your current build is, it might be running on anything from old DDR RAM (I hope not…) all the way up to newest which is currently DDR4. If you’re running DDR4, there’s probably nothing to fret over. But, if you’re running anything older than DDR4 and you’re planning on upgrading to any of the newest CPUs, you’re going to require new (DDR4) RAM. You’ll want at least 8GB, but 12-16GB is more ideal. If you’re currently using a prebuilt desktop, there’s a chance that your old Windows license won’t transfer over to your upgraded PC will technically be a “new” computer. One option is calling Microsoft to see if they’ll help you transfer the new license over as you’ve really only changed a few parts – which might work. But, if that fails, your only other option is to buy your own copy of Windows 10. An alternative option would be to run a Linux-based OS like Ubuntu or Mint. All Linux-based operating systems are open source as well as completely free. However, Linux tends to run into compatibility issues with games and programs that haven’t been developed to run on Linux. Depending on whether or not your CPU was compatible with your motherboard is going to dictate what steps you need to take to swap your CPU. If your CPU is compatible with your motherboard, the upgrade is going to be super simple. All you have to do is remove your old CPU and replace it with your new one, it’s that simple. Just don’t forget new thermal paste! Once that’s done, boot your PC and stress test for stability. Assuming everything runs smoothly, you’re good to go and your CPU has been upgraded successfully. However, if your CPU was not compatible with your motherboard, then your upgrade process is going to be a little more involved. Every time you change your motherboard, you should perform a clean install of your operating system; this means you might have to buy a whole new copy if your old license was non-transferable. You could try to run it without a clean install, but you would undoubtedly run into glitches and errors due to driver conflicts and things of that nature. As you can see, there are a few things you want to keep in mind but not really a whole lot. If you’re making sure that your upgrade is going to be a good one and you don’t just buy a new CPU on a whim without first checking if it’ll even work, I think you’ll be fine. If it comes down to it and you have to upgrade your motherboard, don’t forget to double check if your current RAM is compatible and be ready to end up requiring a new copy of Windows.